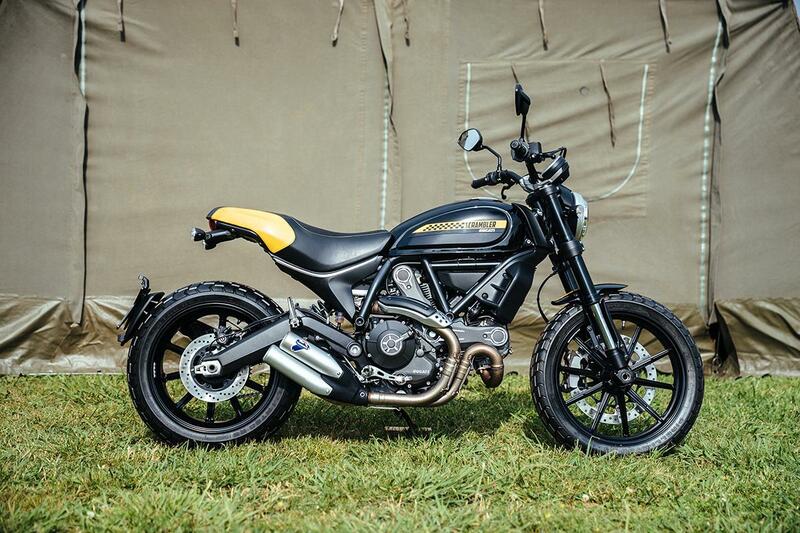 Ducati have unveiled a new Scrambler variant at the Wheels and Waves event in Biarritz called the Scrambler Mach 2.0 as well as an updated version of the Full Throttle. The Mach 2.0 features lower, tapered handlebars, the seat from the Flat Track Pro model, black exhaust and cylinder head covers and brushed cooling fins. 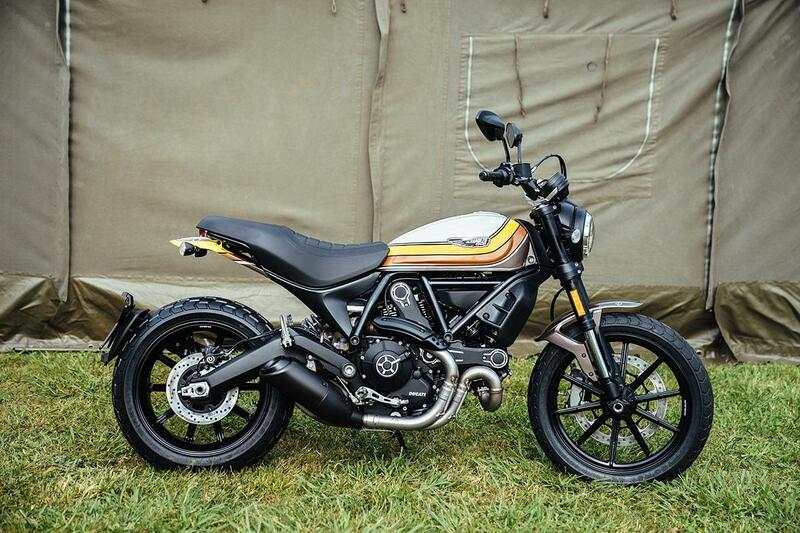 The eye-catching paintscheme was designed by legendary bike builder Roland Sands, who took inspiration from the Bell Cross Idol helmet featured in the 2017 Ducati Scrambler apparel collection. Aprilia Shiver 900: "An SV650 with balls"
The name isn't anything to do with a certain brand of razors, rather it comes from the original Ducati Mach 1 250 from 1965, which used the same engine as the Scrambler 250. The new Mach 2.0 will cost £8250 when it becomes available in July. The Scrambler Full Throttle gets new graphics in the form of a new Shining Black tank and front mudguard plus a new side panel with black chequerboard pattern and yellow stripe.